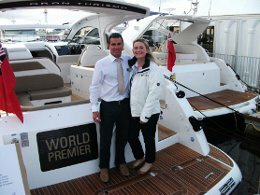 PC Boat Sales Ltd is a new and exciting company based at the top of St Helier Marina, Jersey, Channel Islands. With over 20 years experience in the marine industry and 10 years dedicated to sales alone, the knowledge skill and professionalism offered by PC Boat Sales is industry-leading. We have the honour in representing Fairline, Regal, Rodman and Ribeye in the Channel Islands, and while selling boats is our passion we can also offer our customers advice in finance and Insurance. We also offer a fuelling service for local and visiting boat owners. Our fuel station, located in Jersey’s Elizabeth Marina, provides the best value-for-money marine-use fuel in Jersey.